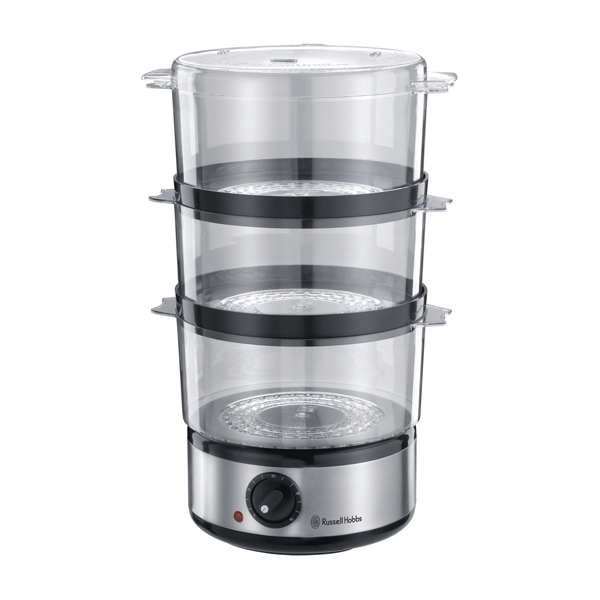 Kickstart healthier eating with the Russell Hobbs 3 Tier Compact 7L Steamer, brilliant for steaming meat, fish and veg, ready for a whole variety of dishes! Its compact build makes it perfect for every kitchen, and the 60 min timer provides more precise, well-cooked results every time. It’s also super easy to take apart, ideal for cleaning up after.